Sugarloaf Trailhead, Mt Erie. Near Anacortes. Join Red Cedar Zen Community for our new annual spring Circumambulation of Mt. Erie hike. This celebration of the encouraging energy of springtime will be on Sunday April 6th, close to the traditional April 8th date for the celebration of Buddha’s Birthday. 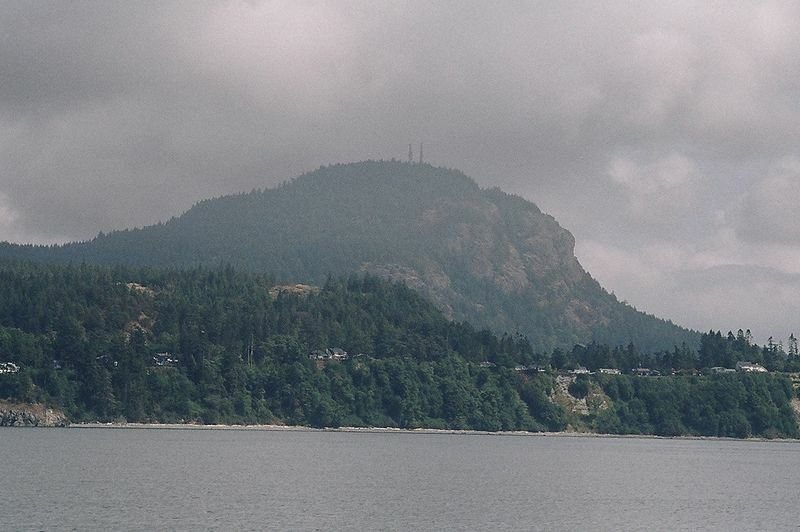 Our route will follow a very moderate trail for approximately 7 miles clockwise around this prominent small mountain situated near the shore of the Salish Sea. The hike begins at 10am and we will probably be done by about 2 or 3pm. A preliminary group will meet to carpool at the Red Cedar Dharma Hall in Bellingham at 9am, or you can arrive at Mt. Erie independently. Please dress for the weather, wear sturdy shoes or hiking boots, bring at least two liters of water, trail snacks, and a lunch. During this mostly silent meditation hike we will stop at various points along the way for chanting rituals. Our first stop will be at the “Poet’s Tree”, a grand Douglas Fir matriarch of the local forest. Please feel free to bring a short poem to share as part of our ceremony at this stop. West on 20, over Swinomish Channel Bridge until signal/turnoff for Whidbey Island. TURN South on Hwy 20 towards Whidbey. Road drops towards Campbell Lake (visible ahead). Stay right and turn right on Campbell Lake Road. Drive Campbell Lake Road along base of Mount Erie. Road will curve right at Lake Erie Grocery and becomes Heart Lake Road. Drive Heart Lake road, past two prominent old growth fir, about a mike until signs for Mount Erie. Veer right into parking area for Sugarloaf trailhead. That's where we will meet. If you get to Heart Lake, you've gone too far.